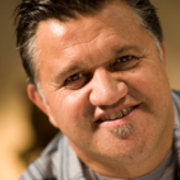 Comedian, actor and singer Pio Terei, MNZM has shown his talents across a host of TV shows — from comedy (Pio!, Pete and Pio! , The Life and Times of Te Tutu ) and variety (Big Night In), to fishing (the long-running Tangaroa with Pio) and food shows (Pete and Pio's Kai Safari). 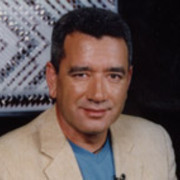 Twice judged best comedy performer at the NZ Film Awards, Pio has also acted in Toa Fraser drama No. 2, and written and acted for anthology series Mataku. In 2009, he took over presenting duties on iconic quiz show It's in the Bag. Later he set off through Aotearoa on foot, for two seasons of Māori TV series Te Araroa: Tales from the Trails.